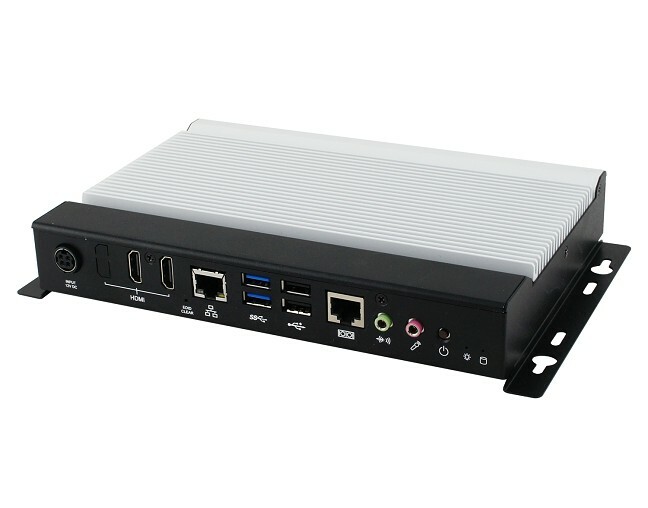 IBASE has unveiled its SI-122-N fanless signage player equipped with 3rd Generation AMD Embedded G-Series SoC. 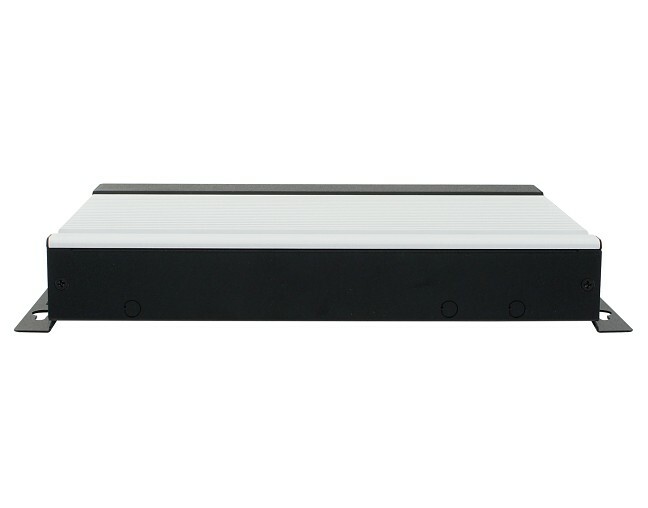 The SI-122-N is a dual-HDMI player delivering smooth, high-definition video for each display to bring viewers the ultimate experience in picture quality. 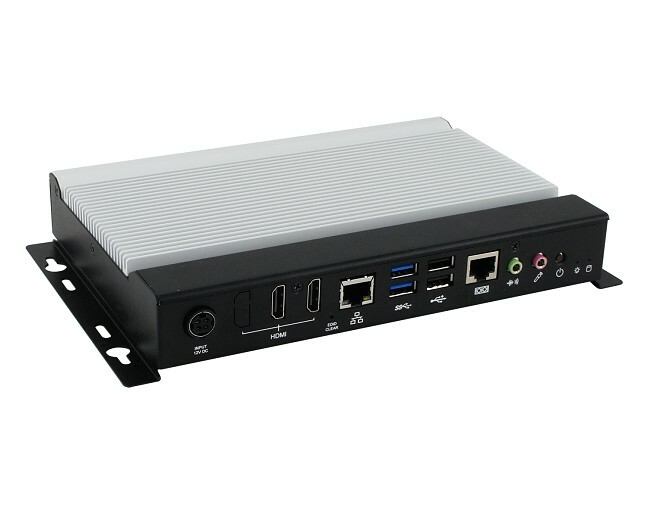 Recommended for smart signage displays in high-traffic areas such as restaurants, banks, airports and shopping centres, the SI-122-N is the ideal signage player to convey dynamic information and targeted promotions that can be updated multiple times a day. 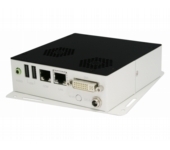 Measuring 216mm by 150mm by 33mm, the compact SI-122-N has a black and white chassis with a system bracket. 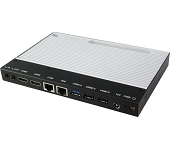 Like other IBASE signage players, it supports iSMART auto-scheduling and power resume functions, as well as EDID emulation to prevent screen convergence issues due to cable disconnections or erroneous display settings. 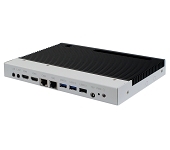 The SI-122-N comes with the power-efficient GX224IJ AMD Quad-Core SoC processor with AMD Radeon™ R7E graphics to provide dynamic and engaging signage content. 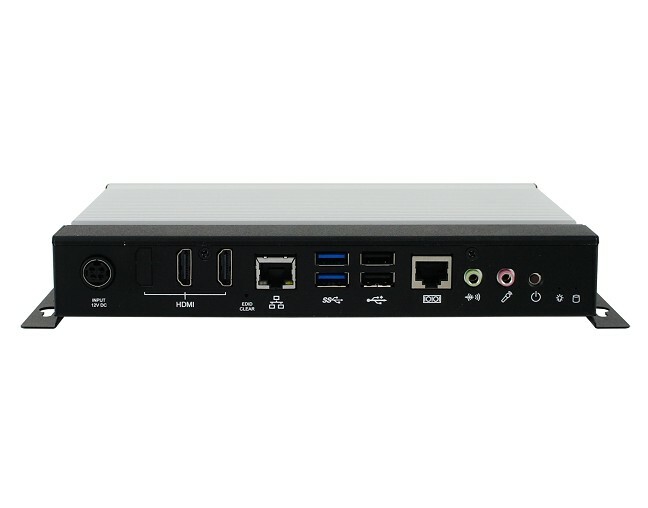 It supports system memory of up to 16GB and rich I/O connectivity with an M.2 B key for storage, options for Wi-Fi, Bluetooth and 4G, a full-size Mini-PCIe, a SIM card slot, and four USB connectors. 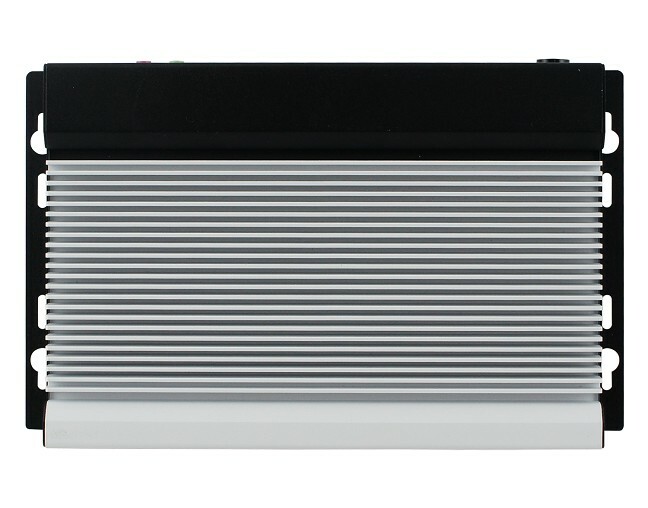 Power is provided by an 84W adaptor with +12V DC output.